Ciar (formerly known as Tootles) has the loudest purr in his litter and is made of loves. When he was found, he was so weak that he couldn't walk. Now he has the run of the house, with three other cats, and labs to love on. Life is good! 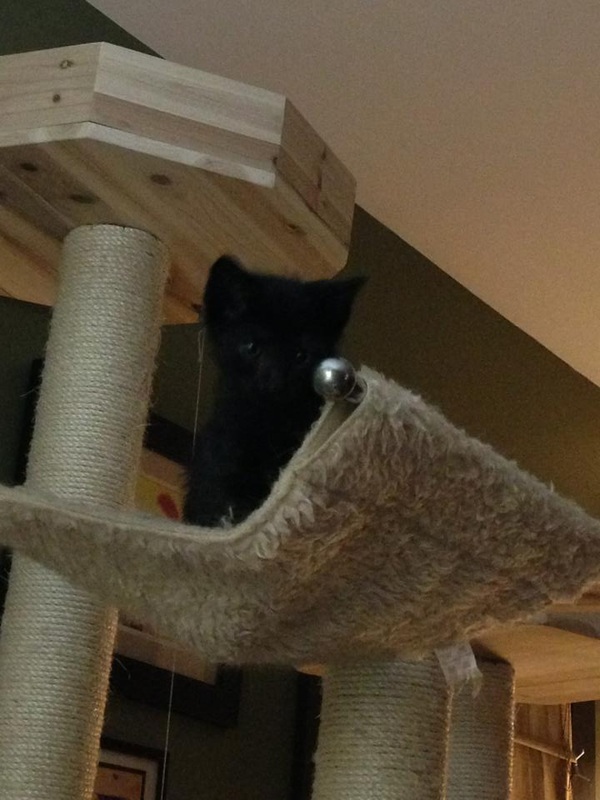 Ciar is loving the cat tree in his forever home! King of the mountain!